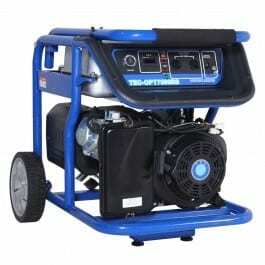 The situation of power supply in this country has made generator sets a necessary must-have appliance in a modern day household — just like refrigerators, ovens, television sets etc. 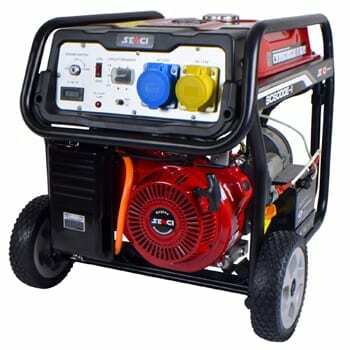 And while there are different types of these generators sets, the major property people look out for in a generator is the size (read: supply capacity or KVA). Generally, the higher the KVA (Kilo Volts-Ampere), the more power a generator can supply, and subsequently, the more load (read: electronics, appliances, machines etc) it can power in your home, office, workplace, or wherever you choose to use the generator. Smallers sized generators like the 2.5KVA generators and 3KVA generators can get the job done but if you need to power all the electrical and electronics in your household or workplace without having to worry about switching off some appliances, then a 5KVA generator is what you need. The best 5KVA generators out there are way more expensive and bigger in size than generators with smaller output/capacity. The 7 generator sets below are some of the best 5KVA generators money can buy you in 2018. Like I mentioned, the bigger the power capacity of a generator, the bigger the size, weight, and some other components. The Yamaha EF7200E weighs 93KG and has a fuel tank capacity of 28 litres. When filled up, the EF7200E can run up to 12 hours non-stop. Some other features of the Yamaha EF7200E are Auto choke (for easy starting), auto decompressor, key and recoil start mechanism, detachable wheel (optional) and remote control. 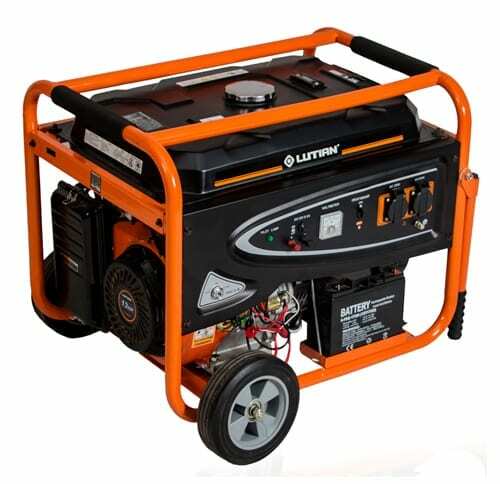 Since Lutian is a trusted generator manufacturer based in China, this Lutian LT6500 5KVA generator can also be trusted to power almost any appliance/machinery in your home or workplace. The Lutian LT6500 weighs 82kg, has a fuel tank capacity of 25 litres, 5KVA output, key and recoil start, and 10-hour continuous operation mark on full tank. For latest prices, Click Here. Aside having a unique design, the Thermocool Optima 7500RS 5KVA generator also boasts of some standout features. With an optimized alternator design, the manufacturer notes that the TEC Optima 7500RS can conveniently load up to 3 air conditioning units and other appliances in the home. There are other features (like Smart throttle and smart choke) that are aimed at better fuel efficiency and engine performance. 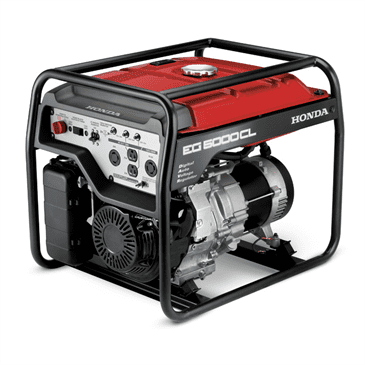 The Smart choke feature allows users turn the generator on and off from a 40-meter distance. Other control option include recoil start and electric key start. The Optima 7200 has a 30 litres fuel tank and approximately 19 hours operating time (on half load). For more, Click Here. 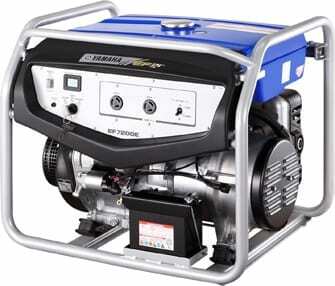 The Oga Max 5KVA generator is very much similar to the Optima 7200 in (3) above. They have the same 5.5 max output and can power up to 3 AC units,1 deep freezer or fridge and other loads like bulbs, television set etc. 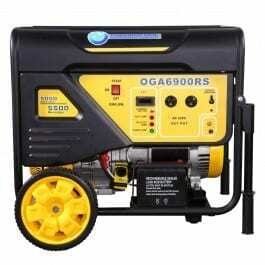 The only notable difference between this Oga Max and the Optima 7200 5KVA generator is the fuel tank size. The Oga Max has a 25 litres max fuel holding capacity; 5 litres less than the Optima 7200. The Oga Max also sports a smart throttle feature which allows it to be started by a remote control from a 40 metre (or less) distance. For more, Click Here. The Senci SC6000 is, weight-wise, about the lightest (81kg) 5KVA generator on this list. Manufactured by Sending, a Chinese and UK company, the SC6000 is duly equipped with a 25L fuel tank which allows the machine run up to 12 hours depending on the load applied, two output socket (115V and 230V), electric and recoil start. The Senci SC6000 is trusted to perform effectively and efficiently without clogs. If it doesn’t, there is a 3-year warranty on all Senci generators. For latest prices and more options, Click Here. 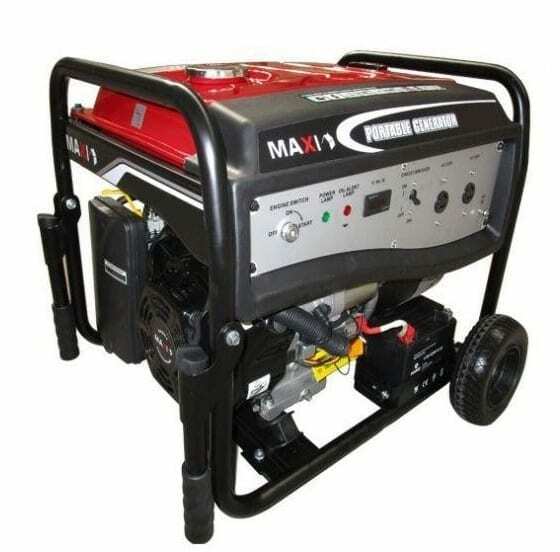 Manufactured by MaxiGen, the Maxi E50K possess the basic features most 5KVA generators on this list boast of. 6.2kw / 5 KVA max output, electric (key) and recoil start mechanisms, oil alert, 25-liter fuel capacity, dual wheels and handles. For latest prices, Click Here. The Honda EG6500 might not cut it for you in terms of structure and aesthetic but will surely do performance-wise. The EG6500 uses Honda’s exclusive DAVR (Digital Automatic Voltage Regulator) technology. The DAVR is designed to hold the voltage stability and ultimately provide more consistent power. The EG6500 uses petrol as fuel and can take up to 6.3 gallons (24 litres of fuel) to provide between 10 to 12 hours of power supply. Lastly, the Honda EG6500 can only be powered on by recoil mechanism — quite a big turn off considering that there are better alternatives that can be powered on/off by electric, recoil, and remote control. For latest prices, Click Here. 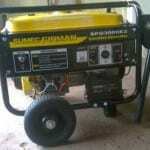 Purchasing a generator is a big investment. Buying a 5KVA generator is a bigger one. The above list is just an overview of some of the best 5KVA generators we identified. It is advised you extensively compare prices and other features from online and offline vendors before making a final decision.